If you had been following the anime series Saki, then you would know that the protagonist loves her tacos. 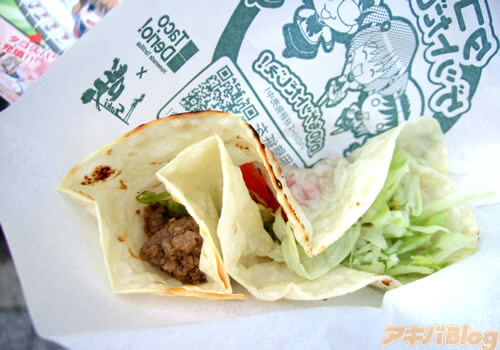 So Taco Derio collborated with the anime series to sell some yummy special Saki Taco on the streets of Akihabara. Unfortunately its only for a limited period, and the second run took place on the 1st and 2nd August 2009.